Forgive me for not addressing you as Minister Mofaz. However, this letter is really addressed to the outstanding soldier you made of yourself; not the minister that someone else made you. 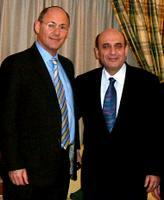 When we met 18 months ago in London your poll ratings were high for succeeding Ariel Sharon as Prime Minister. This is no longer the case. Then you spoke freely and enthusiastically about the fight against terror. This is no longer the case. At this year’s London briefing in January, you spoke in a monotone from prepared notes about security co-operation with the PA. We all know this is nonsense. As a strategist, you are smart enough to realise that the two changes are connected. As a politician, you must also know that nothing will boost your poll ratings more than walking out of Ariel Sharon’s government at this critical moment. As a soldier, you must respect the advice of your colleagues in the military and security establishments, most of whom have warned of the clear and present danger in Ariel Sharon’s strategy. As a Jew, you know that your highest loyalty is to Am Yisrael; not to any Prime Minister or US President. Do the right thing! Walk out of this government now. Make your stand now and you will surely see the most dramatic reversal of your standing in Israel and most certainly here in the Diaspora. Disengagement: Is the Pain Worth the Gain? Most of us on the Right doubt there can ever be any real peace with the Palestinians so long as their miserable plight suits the needs of the regional Ayatollahs and Sheikhs. They need to maintain Israel’s image as an external threat to divert the attention of their own citizens from domestic issues such as education, housing, government corruption and the gross misappropriation of the national oil wealth. Add to that human rights, women's rights and the simple democratic freedoms that regional Arabs enjoy only in Israel. Demonisation of Israel is the opiate of the Arab masses. So you may ask: does Sharon not see this? Does he really expect the PA to turn Gaza into a peaceful state of Palestine? The answer is most assuredly no. 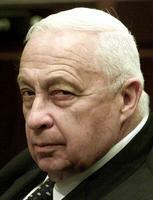 Having fought them in so many battles, few people have a better understanding of the Arab psyche than Ariel Sharon. Just as in war, he expects them to follow their natural instincts: killing and corruption. He is betting that Gaza will quickly descend into a lawless jungle and, soon afterward, a terrorist state. Sharon may then expect to turn round to the Road Map Quartet and ask: “Is this who you expect us to make peace with?” The US may well sympathise and agree to halt the Road Map pending democratisation. But the EU will surely disagree. They will expect Israel to do whatever it takes to appease their burgeoning Muslim electorates and thereby keep the bombers and hijackers out of their backyards. As always, Sharon will expect the Americans to prevail. Knowing that “Arabs don’t do democracy” he expects not to have to make any further territorial concessions and to thereby retain the major settlement blocs of Judea and Samaria. On the face of it, this seems a pretty good strategy and a fair gamble for the prize of retaining Judea and Samaria. And the signs of Gaza’s degeneration are already there. There is a marked increase in the smuggling of arms and rockets, and instead of disarming the terror groups, a frightened Mahmoud Abbas has invited them to relocate to a newly liberated Gaza. We would hardly have second-guessed Sharon The General about his strategy of crossing the Suez canal and encircling the Egyptian 3rd army. But where it concerns the eviction of 10,000 Jews from their homes we do ask Sharon The Prime Minister: is it really necessary to inflict this kind of pain upon our people? We have grieved at the sight of Arabs dancing on the charred tomb of Joseph in Shechem: must we again see them desecrating the graves of Gush Katif? We have seen the killers of our precious children rewarded in cash by Saddam Hussein: must we witness these murderers basking on the patios of their victims’ homes? The quartet knows who and what these people are. The Americans have no better proof than what they are now experiencing in Iraq. We should not have to tear our own people apart proving it to them. Sir: Your editorial ‘Prisoner Set Free’ suggests that Natan Sharansky’s resignation from the Sharon government is more likely to bring about the very ‘national rift’ he has warned will occur over a disengagement policy that ‘commands majority support in Israel as a genuine hope for progress’ towards peace. 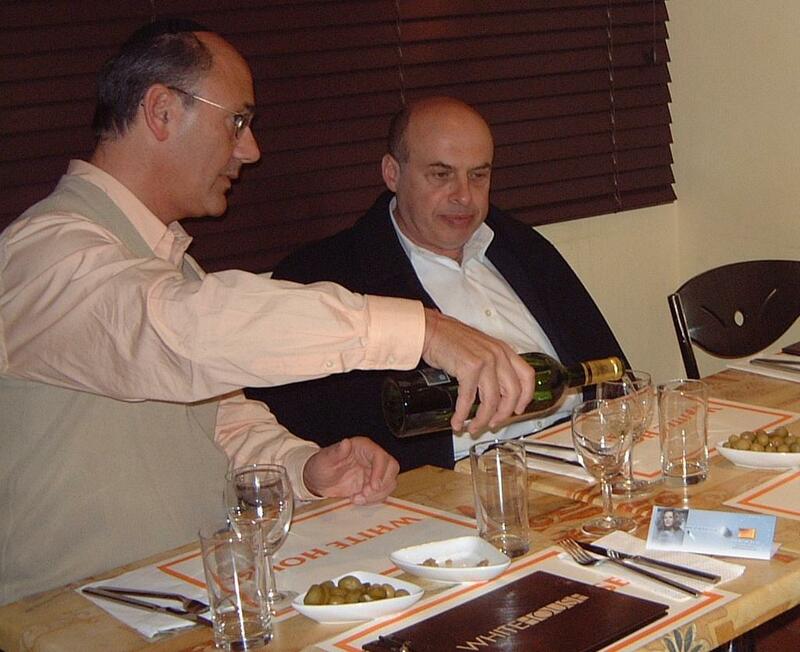 Having spent quality time with this remarkable man on his recent lecture tour of the UK, I can tell you that Mr Sharansky is prepared to be as generous as Mr Sharon in territorial concessions for peace. However, his concern is: concessions with whom and for what? His acclaimed book “A Case for Democracy” has analysed the failings of the Oslo accords with remarkable clarity. He concludes that détente with dictatorships worked no better with Arafat than it did with the leaders of the former Soviet Union. It merely empowered Arafat to further impoverish and terrorise the Palestinian people and perpetuate the conflict through incitement and indoctrination. Little has changed under Mahmoud Abbas who is either unwilling or unable to disarm the gunmen who stand between the Palestinian people and their freedom. As a result it is most likely that Gaza will descend into anarchy after Israel’s unilateral withdrawal. Natan Sharansky is the embodiment of a latter day Joseph. He has emerged from a Siberian dungeon and been ushered into no less lofty place than the Oval office. He has interpreted the dream of peace and determined that a genuine treaty is only possible between free people.